Vinod Khosla came to talk to us about his latest venture — solving the energy crisis and getting the U.S. off of our addiction to fossil fuels. There is a long history in the U.S. of subsidizing ethanol production from corn for use in vehicles. But corn is not the most efficient base to start from — it takes one unit of energy to get 1.5 units back in the form of ethanol. 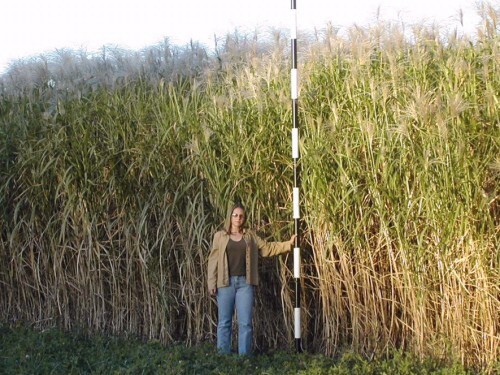 But science is coming to the rescue, and new technologies are making ethanol far more efficiently, and from non-food sources, such as fast-growing switchgrass and miscanthus prairie grasses. These new technologies produce 8 times the energy they use as input. So, why aren’t all those 5 million Flex Fuel vehicles running on ethanol? Because the corner gas station doesn’t have an E85 or ethanol pump. Khosla suggests that Walmart should set up such pumps at every store. After all, they want people to drive to Walmart, and the product is cheaper than gasoline, both per gallon and per mile. And it is environmentally friendly. And E85 gives cars more horsepower and longer range between fillups.